Sari lines mein, I can connect to my father. God bless your papa 🙂 and you both. I love the way you write personal experience. 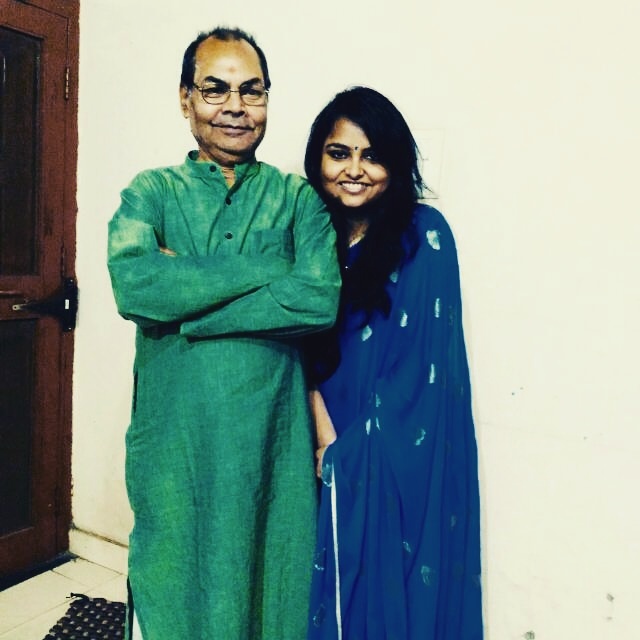 Loved it Pooja..Nicely penned down emotions of a daughter for her dad. Daughter’s r lwats more close to their dads and I can understand your feelings very well. Very beautiful post Pooja. This is the worst thing about growing up that your parents grow older. You gave justice to that emotion. Now, excuse me. I have something in my eye. Thank you so much Manisha for such a heartfelt comment.